Learning about the different parts of your roof goes a long way in helping you understand how to take care of the entire roofing system. Today we shift our attention to a little known part known as the roof ridge vent. Found at the topmost part of the roof, it contributes to the quality of air you have in your home. Some houses may not have it, and if yours doesn’t, you may want to consider having it installed. Very simply, ridge vents are continuous vent strips installed at a roof’s peak. They can be metal or shingle-over vents—the type of roof you have will likely dictate the ridge vents you choose. Ridge vents contribute to the lifespan of your roof by keeping it well aerated and preventing the harmful effects of moisture on the roof. What Are the Advantages of Roof Ridge Vents? Roof ridge vents help to effectively prolong and protect a homeowner's roof from common culprits within the home, including moisture and heat. Found on most new homes, roof ridge vents offer a very simple and effective technology that many homeowners are relatively uninformed about. Apart from the fact that ridge vents help with air circulation, they enhance the look of your home since they are not visible. Other air circulation options are usually very obvious, such as turbines or vents. Sure, it’s nice to keep the rain off your back, but your roof actually does more than just protect you from the weather. Rooftop ventilation systems help circulate air in your home and vent exhaust from your heating units, keeping the air quality in your home safe and healthy. To help you ensure that your roof ridge vent is in good condition, you need to work with a trusted and professional roofing contractor. If you are in Dale City VA and need ridge vent leak repair, go ahead and call us. 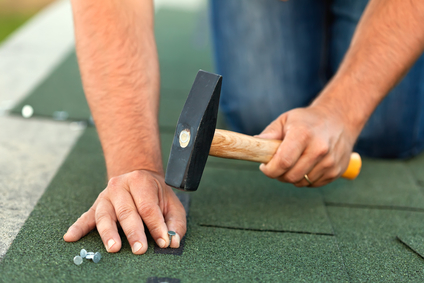 We are the experts you can trust for roof repair, leak repair and siding repair too!